Ah, back to school. After a long hot summer, there is nothing like sending your gorgeous off-spring back to the classroom. Unless of course, your kids are anything like mine and they hate school with a passion. Don't get me wrong my kids are bright and they do okay academically, but school is definitely not their ‘thing.' Out of my 5 pyrrole kids only 1 of them hasn't ‘hated' school. My oldest is a bit of a social butterfly so he loved going to school to hang out with his friends, the rest of them, not so much. My middle two boys are definitely not fans of school, I homeschooled both of them for a time, which they both preferred to attending a traditional school. But life happens, one has finished school now and my 11 year old is back at school with his sister who is 6 and neither is fan. They claim boredom a lot of the time, but after surviving the first two and their journey through school I picked up a trick or two that helped to make the whole ‘going to school' process a bit easier. Boredom aside my kids all battle these five issues when it comes to school days. All 5 of these ‘issues' are related in some way to their MTHFR/Pyrrole status. In our case the families immunity issues have been further impacted after living in a mold infested house, since then we've all been extra susceptible to pretty much every bug that comes along. Our first line of defense to deal with all of these issue is to eat as well as we can which for the kids means a primarily Paleo style diet (grain and refined sugar free). Beyond that my first line of attack is their prescribed supplements and then my favorite tool – essential oils. If you have a good essential oil collection you can make up your own roller blends to have on hand. Insomnia – this is definitely the biggest issue my kids face. They are TERRIBLE about going to sleep. Totally fine once they are asleep, but they can literally spend hours trying to GO to sleep. My four oldest now use melatonin to help (under doctor supervision) but they also rely on their ‘sleepy' oils to help. Does your child have occasional trouble calming down before bedtime? 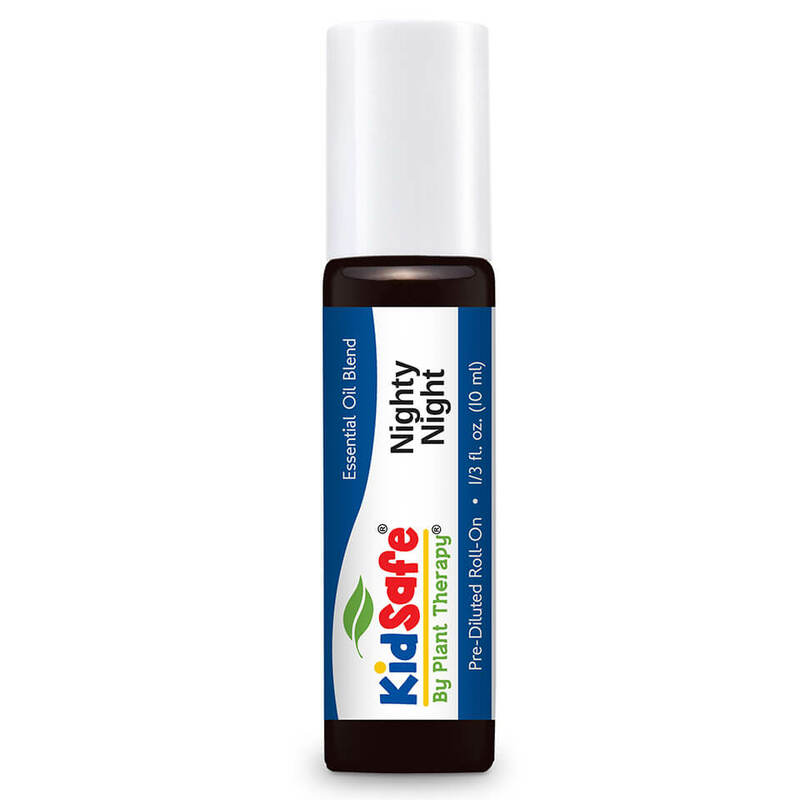 Nighty Night helps create a more relaxed and calming atmosphere so that your child can relax before bedtime and promote a good night?s rest. Differing from Sweet Dreams, Nighty Night is used for an overall relaxation and not just soothing the mind. Sweet Dreams can help soothe the emotions and promote a good night?s rest. Differing from Nighty Night, Sweet Dreams is specific for helping soothe the mind so there are no more bad dreams or night monsters. Rocky Mountain Oils also offer a kids line that you can check out here – we haven't used the kids line yet but I do use some of their individual oils. Grumpiness – if my kids don't wake up grumpy on a school morning I think I'm in the wrong house. So a simple pick me up blend usually does the trick. I find the easiest thing to do is just diffuse some oils then the whole house gets the benefit and everyone's mood is lifted. I like this one because I can use it on the older kids and dilute for the younger ones as well. The effect of fragrant substances on the human psyche often results in improved mood. People around us seem friendlier, colors look brighter, music sounds sweeter! It doesn?t take much to move that subtle switch from negative to positive. 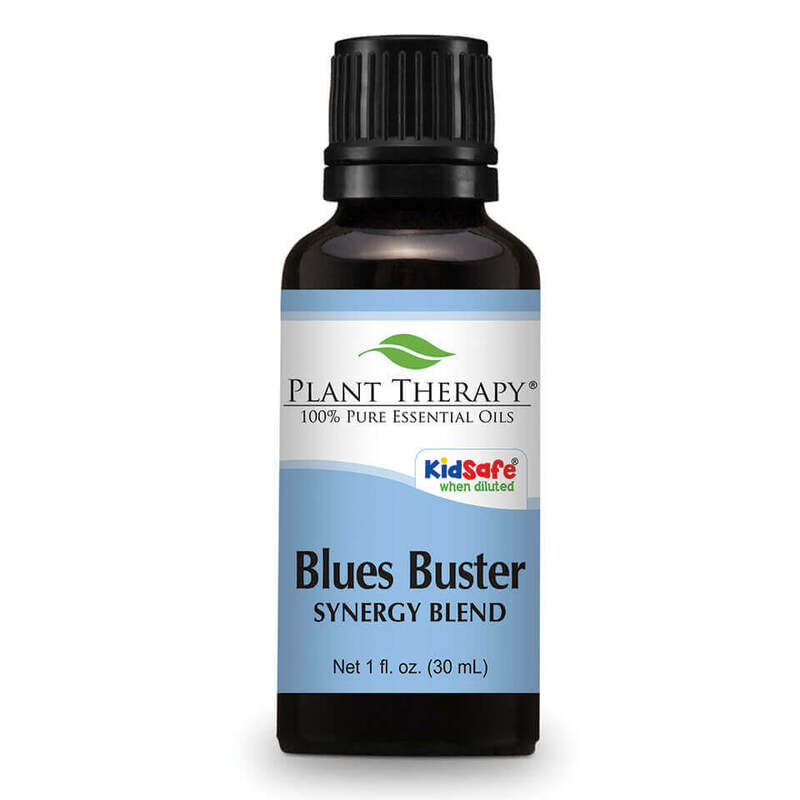 Our Blues Buster Synergy is formulated to increase your sensory and emotional well-being! I also really like Rocky Mountain Oils Citrus Blend. It's super uplifting and great for the diffuser. Focus and Concentration – this is another hurdle the kids tend to deal with. Again, a lot of the time it's due to poor sleep, or should I say it's worse with lack of sleep. In our case none of them are classified as ADD/ADHD but I can safely say all of my children have the attention span of a gnat unless it's a topic they are really interested in. Our solution for this is for them to pack their roller ball concentration blends into their school bags and if they are feeling a bit scattered they apply some before they go into class. Help your child stay on task by focusing on what?s in front of them. Whether they struggle at school or lack focus at home, A+ Attention can help. The essential oils found in this synergy are calming and balancing to the mind. 5. Immunity – Zinc is pretty crucial for immunity and since Pyrrole is associated with a lack of zinc this is a big one for us, especially after the mold issue in our last house. Before that the kids all had hardy constitutions and were rarely every sick. Since dealing with the mold they tend to get every bug that comes along and they go down pretty hard. Oils help a lot and I find when I'm really diligent with using them they are much better at fighting off things. At home, I'm a big fan of doTERRA's On Guard blend and love to have that going in the diffuser (You can find my favorite doTERRA rep in my essential oil toolbox). Since I can't diffuse in the kid's classrooms during cold and flu season I've started using Rocky Mountain Oils ‘Immunity' kids blend – it's pre diluted and ready to use so it's easy to apply to them on the run in the morning. I don't have a DIY for immunity support because I've found it's just more cost effective to purchase a pre-made blend. 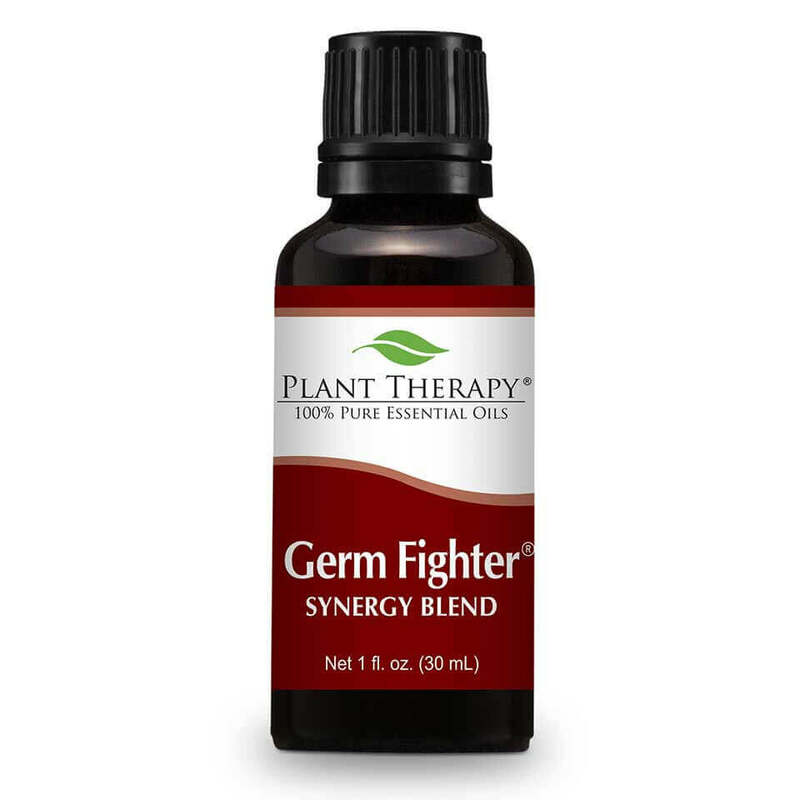 As I mentioned above I really love OnGuard from doTERRA which can be diluted in fractionated coconut oil but I've just ordered Plant Therapy's Germ Fighter Synergy and we are going to give that a go and see what it's like. It is so important to keep your body on alert against attacks to your immune system. Whether it?s keeping your hands clean, or warding off seasonal threats going around the office or school by keeping your body on attack, Germ-Fighter will give you that extra protection you need. Plus, it smells great! For children, try our fantastic companion KidSafe synergy blend called Germ Destroyer. I'd love to hear if you have any special blends or favorite products you use to help tackle the back to school season with your kids so be sure to share them in the comments below!